As you already know, we have partnered with BookShark this year for our son’s education and part of a series of sponsored posts here. BookShark is a literature-based curriculum that is rising with popularity. A lot of homeschool families want to know how to use this homeschool curriculum with their local co-op. More homeschool families are doing co-ops because it helps build up community and fellowship in their current season of homeschooling. 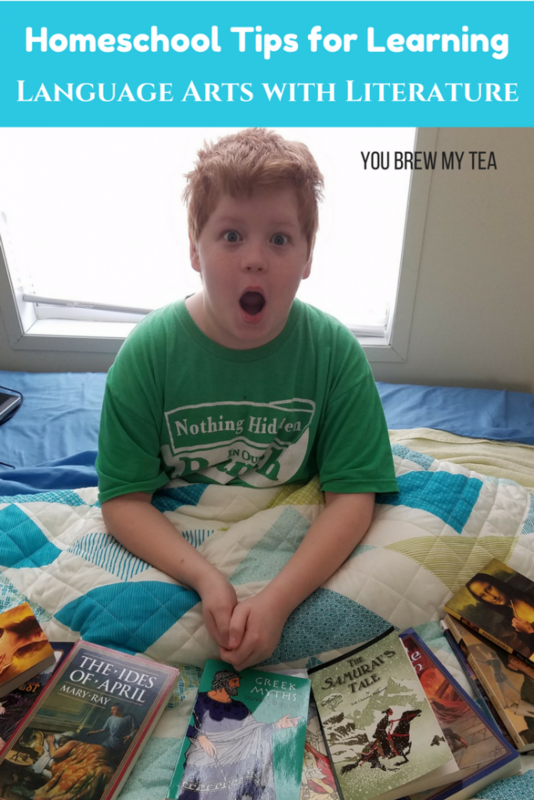 If you’re looking for ways to use BookShark with a homeschool co-op, these tips are for you! Last year, we reviewed the Level 6 BookShark program. This year, our son is starting to utilize the Level 7 BookShark program. I love that this is a secular curriculum that we can choose how to include ideas like evolution, creation, or Bible study, but it is not already incorporated into the curricula. This makes it easy for families to customize, and for it to be more flexibly used within a co-op setting with a variety of family types. Do you know what’s fun? Creating a local book club for your kids to be a part. As a homeschooling parent, I can’t tell you how many clubs I’ve started, just so my kid can be a part of it. 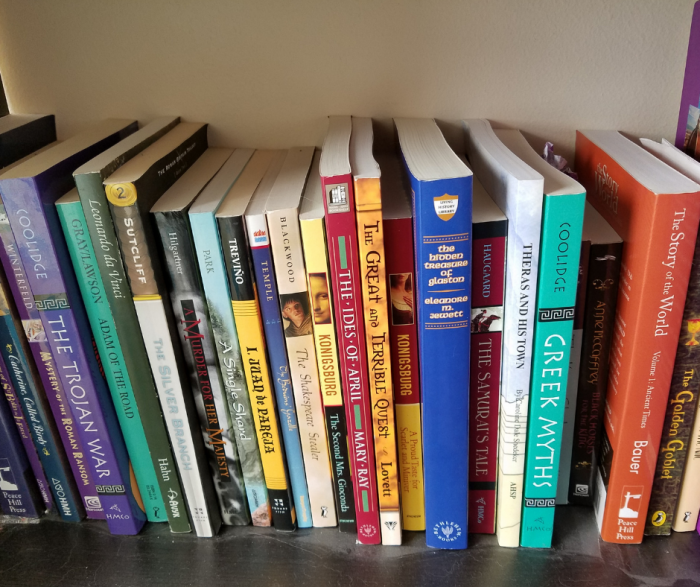 The BookShark curriculum has so many awesome books that it only makes sense to take it a step further and create a book club. Each week, kids in the book club would have to read and then discuss a few chapters with the rest of the kids. Book clubs are so good for kids because it helps them with comprehension. Reading is good, but kids need to understand what they’re reading. This is especially handy for those books that your child may be struggling to get through. 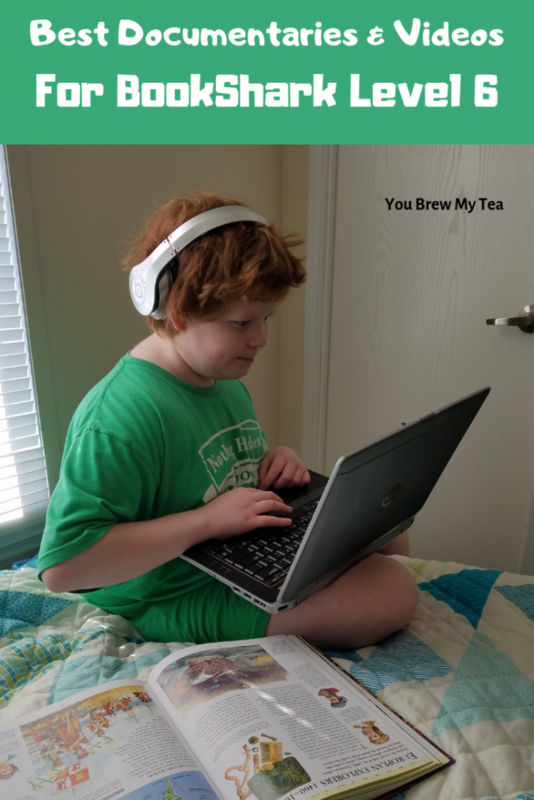 Another way you can use BookShark within a homeschool co-op is to do book reports. Book reports don’t have to be boring, they can be fun and exciting. You can even do this book report opportunity within your book club. Give the kids options in HOW they want to incorporate the book report. They can give an oral book report, an illustrated book report, or they can make it technical with a Powerpoint slide. Don’t forget how important it is to ensure kids keep their creativity flowing in through projects like this. Doing a book report in front of peers is a great lesson for students in confidence and decorum. Co-ops give homeschooled kids an opportunity to get out and learn but also meet kids their age. 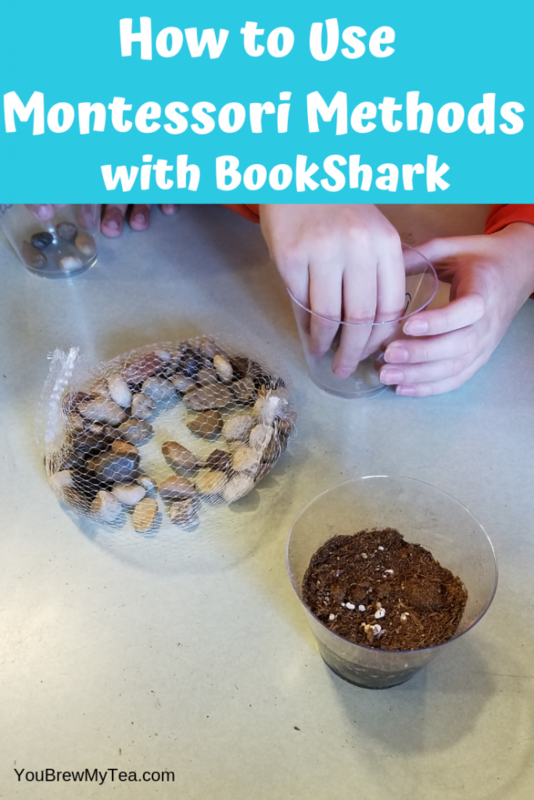 You can use BookShark with your homeschool co-op by allowing weekly science experiments and letting the kids get hands-on with learning. These are already included in your BookShark curriculum, so you have an abundance of options in place to share with other students. Remember that not all kids do great at reading and comprehending. So, taking it a step further and letting kids act out what they have learned is always a good thing. Science experiments are FUN but also a great way to learn. Plus, science experiments give something for the co-op to look forward to! Getting this into your co-op routine will help you use BookShark with your co-op. As a homeschool parent, I value being able to keep my son active with groups. He needs to step outside of his comfort zone and learn from others. Being able to include our base curriculum within a co-op is so nice. I don’t have to worry about him feeling confused or overwhelmed as he is already familiar. Plus, the literature-based approach makes it popular with other parents since the supplies are so easy to find and use in a group. For the homeschooling families that LOVE to learn, you’re going to love BookShark, which is a literature-based homeschool curriculum that is our sponsor for this post. It allows homeschooling families to have more flexibility in their journey. If you’re a homeschooling Montessori family, I wanted to show you ways to use BookShark with Montessori Methods. You may recall that we spent half a year with our son in a local Montessori school. While the experience there was wonderful, we did feel bringing him back to homeschooling was best for our situation. 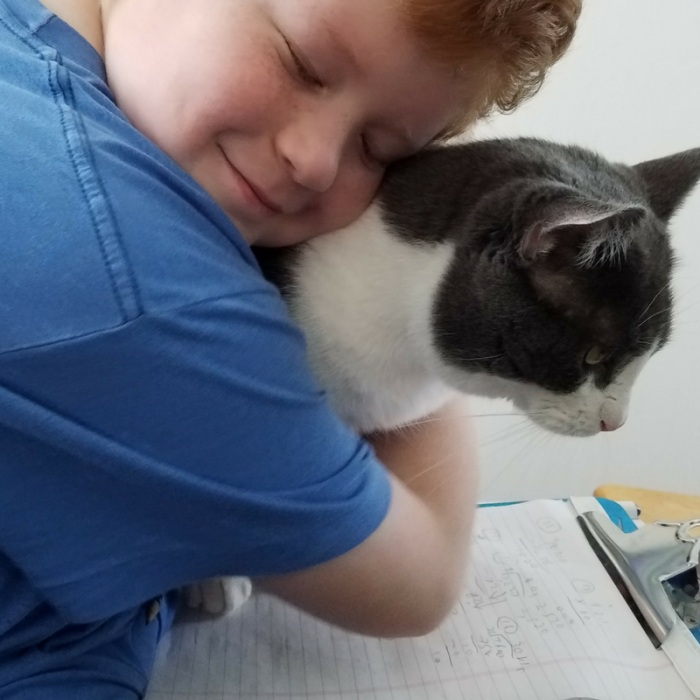 During that experience, I learned a ton about Montessori methods, and am now enjoying adding them into our homeschool routine with BookShark. Since Math isn’t included in the BookShark literature based kits, you will want to incorporate Montessori math manipulatives with this homeschool curriculum. While BookShark offers a few options outside their curriculum for math, I found that using Montessori methods worked best for our son. My son is very hands-on, so this is a no brainer! Math manipulatives are super important to kids who are visual learners. Another way you can use BookShark with Montessori methods is by encouraging self-led reading. I encourage my son to read whenever he can. I love the read aloud options that come with BookShark as well, but allowing kids to self-read encourages responsibility. One thing you should know about Montessori type learning is that character traits are super important. Anything we can do to get kids to develop their character more is always a good thing. Want to use BookShark with your Montessori method? Do daily hands-on projects when it comes to science projects. I can’t tell you how much my son loves science, so I try to do what I can to help him learn as much as he can. That often includes expanding on science projects. I, of course, like to do the weekly science projects with him. BookShark touches on many aspects of Science, and to make it more Montessori, you would just do daily hands-on projects. It’s that simple! 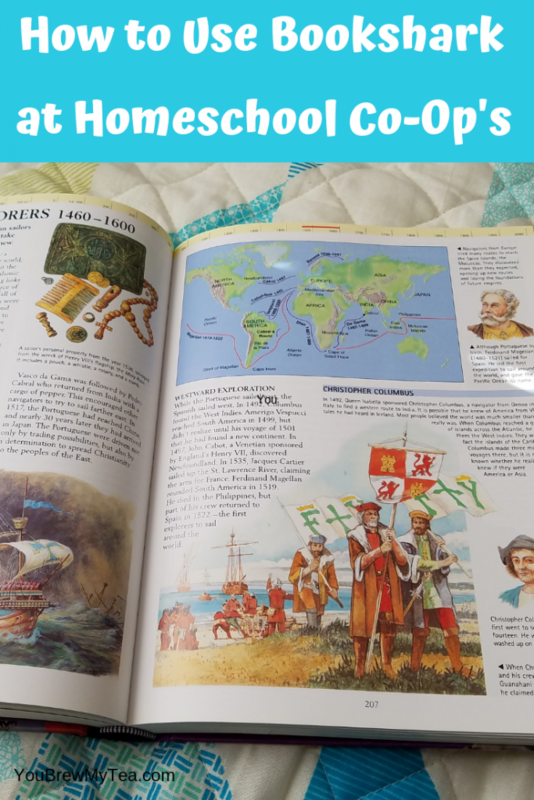 Another way you will want to use BookShark in your Montessori methods is by meshing in history. A great way to incorporate BookShark into your Montessori style is by allowing your kids to be constructive and even critique prior interpretations. If they have questions, encourage them to ask. If something doesn’t make sense, encourage them to seek further answers. 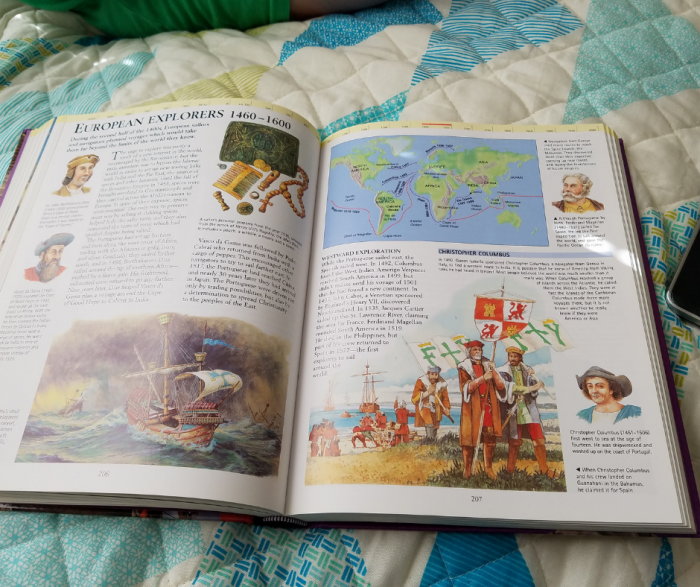 History is a big part of the world, BookShark and the Montessori method will allow your child to ask questions, explore, and learn more than you ever thought possible. In Montessori education, kids learn about time management, but also about giving children freedom in their activity choices. When it comes to using BookShark in your Montessori Methods, there are tons of ways in which you can allow student-led learning. 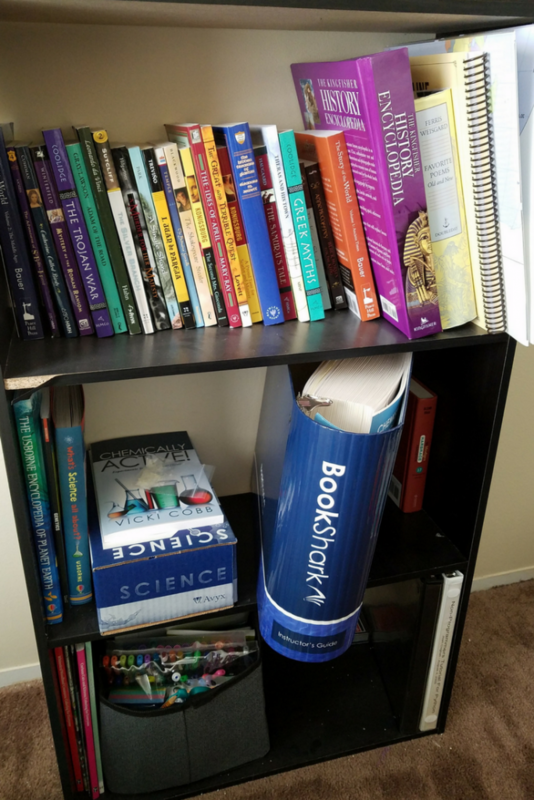 BookShark is a great homeschooling tool. For those of you who are focused on teaching your kids the Montessori style, you can totally use BookShark to help homeschool your children in this manner. 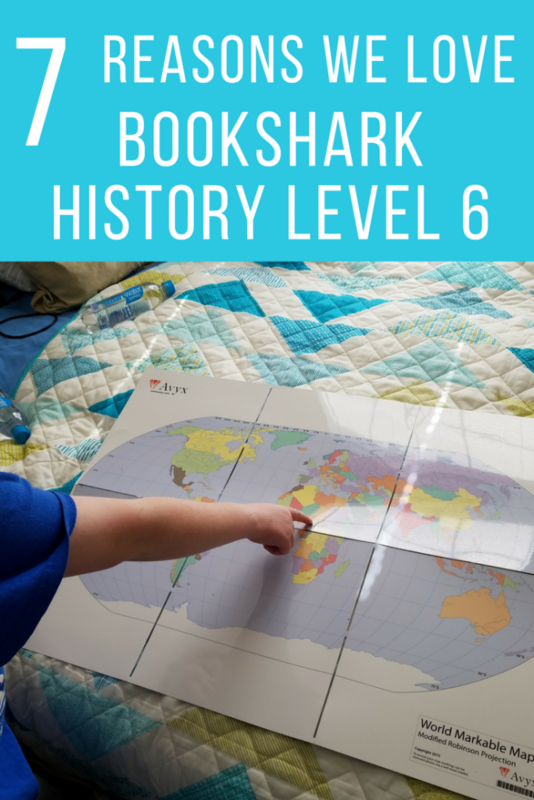 As a BookShark ambassador this year, I am really excited to share the Reasons We Love BookShark History Level 6! This curriculum is so comprehensive and thorough, while also fitting into our budget. It’s also a perfect fit for children in multiple grade levels, depending on their current knowledge. 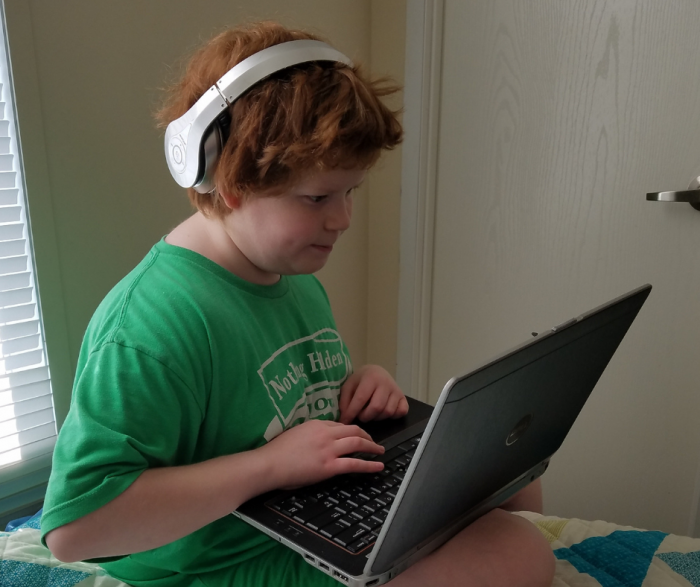 When we embarked on our journey using BookShark Secular Homeschool Curriculum this year, I was worried our son would struggle to stay interested. History has always been a struggle for him in the past. Not because he didn’t understand or couldn’t remember facts, but because he got bored very easily. Let’s face it, to a child, history just may not be so easy to find fun or entertaining. So, I was hoping to give a positive review of this curriculum but didn’t know for sure if I would be able to with our past struggles. Let me say, I am thrilled with how easy this has been! One of the best things about BookShark is that the curriculum is so engaging on many levels. Using fictional books as a base for keeping him excited about learning has been amazing. The Wee Child already loves to read, and he digs into stories all the time. In the last year alone, he has read over 75 books. Adding to that collection now, are some amazing historical fiction accounts of things that fit perfectly into this timeline. One of the best parts is that he loves the reading sessions so much that he asks for that first in his school day. In fact, on a few occasions, we’ve gotten so interested in the story that we went past what was mandatory reading for that day. Now, that is engagement! 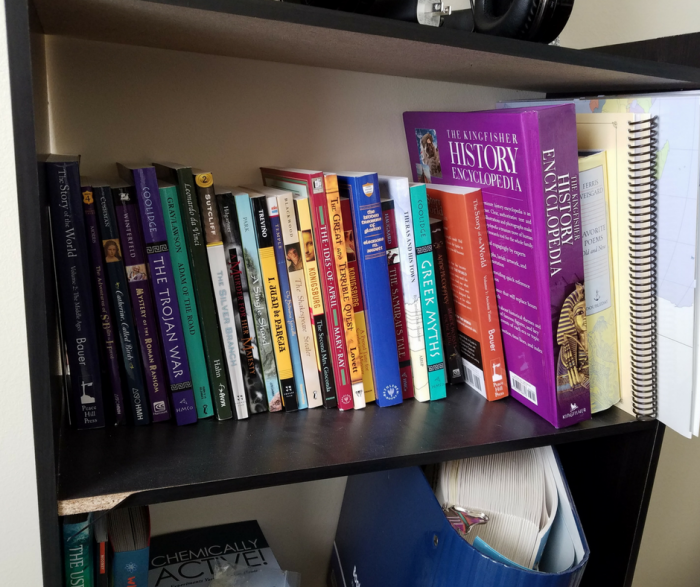 We keep this shelf in our homeschool room with just the BookShark History Level 6 curriculum. It’s nice to have everything in one place, and honestly, I have caught him reading ahead more times than I can count. That’s a problem, I don’t mind having. With a 4-day lesson plan in BookShark, I can work with him at his own pace. Sometimes, we speed up and do more than one day of work, and others we only do the four lessons per week. 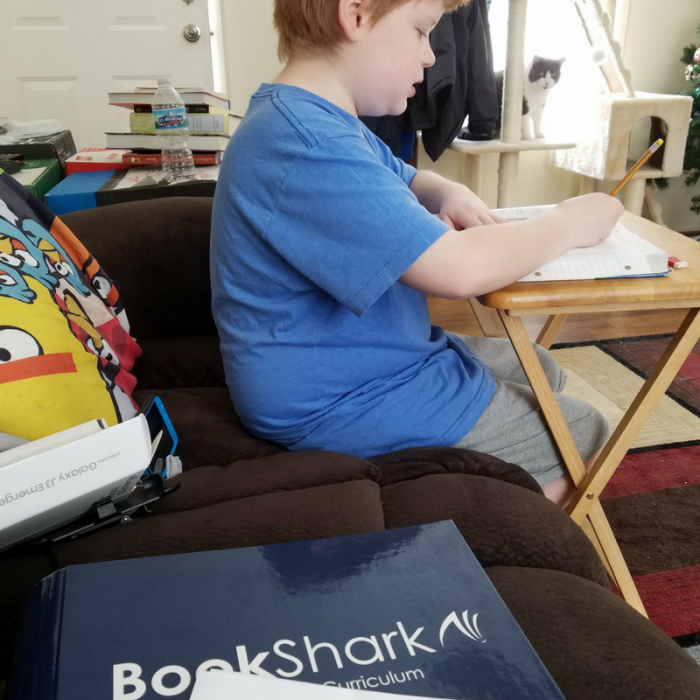 Unlike most homeschool curriculum options, BookShark makes it easy to stay self-paced by giving that extra free day each week. We can skip a day, or work every day. It’s totally up to him and how he feels. Some individuals feel odd about not having a school day that starts at 8 am and ends at 3 pm. In our family, a short school day means we have plenty of time for going to movies, hanging out with friends, playing games, and even field trips. All of these things are a big part of the homeschool appeal for our family. Short lessons pack in a ton of information for our son but don’t take all day. We can easily get all of his lessons for all subjects completed before lunch if we work consistently. Alternately, we can spread it out over the course of the day if we want to do extra. Both methods work great. I absolutely love seeing the visual of where something happened in the past. The maps of the BookShark History programs are amazing. Not only is there a current map, as shown in the picture below, but there are also great maps that show exactly what things looked like centuries before. We have been studying the Fertile Crescent, and he thinks it is amazing to see how different the countries are now than they were in the beginning. 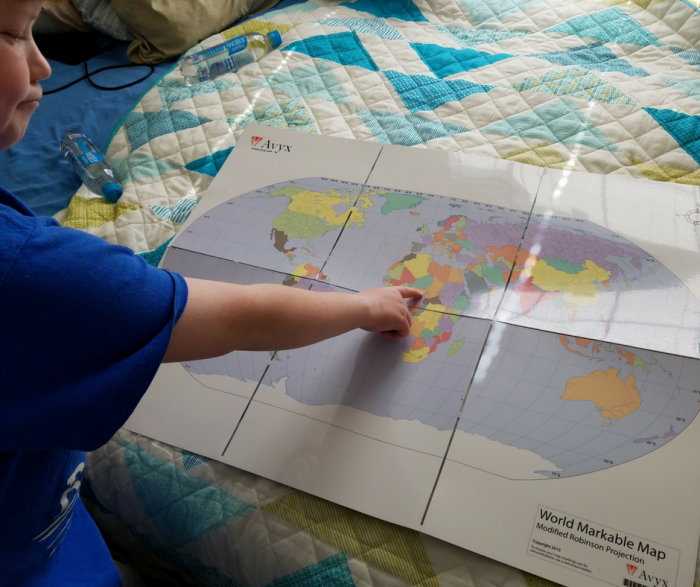 Teaching him with maps has been a great way to really give him a visual understanding of where things are in the world. It has also helped him to understand more about how our world has changed due to political changes, religion, and even natural disasters and erosion shaping various continents. Note: We use our guest room as a homeschool room as well, so the guest bed is often where he does lessons! Instead of dreading the annual lessons about specific common United States history facts, he is learning tons of new things. BookShark History Level 6 is focused on ancient history. It includes early history in Africa, the Middle East, Japan, and throughout Asia. This is an area of history, that while mentioned in his past school experience, has not been heavily studied. 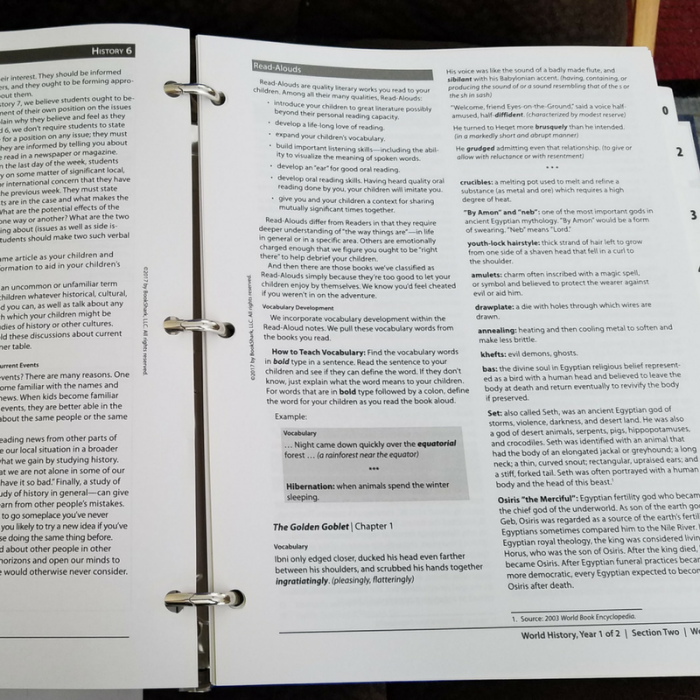 While there are various lessons and worksheets included in this curriculum, it is easy for me to add additional printed items as I desire. I love that I can include common Ancient history printables. It’s also great for using vocabulary words within the program as handwriting practice. That leads us to my last reason to love BookShark History Level 6. The best part, in my opinion, about the BookShark program, is that each of the subjects weaves together with the others. For instance, the BookShark History Level 6 coincides with the BookShark Language Arts Level 6 program. The reading we do in our history lessons is also part of the vocabulary and language lessons in the LA curriculum. This keeps his mind on one subject, which enforces the things he is learning in each category. By using the vocabulary from history to practice handwriting, learn parts of speech, or even recognize how to write descriptive paragraphs, we are enforcing these in all subjects. It’s a great way repetition helps children learn. As you can tell, we are really huge fans of how much this has made history easier for our son to stay excited about. He is learning tons of valuable information about the history of our world, and he is excited in the process. The easy curriculum lesson plans make it simple for me to fit into my already busy routine. It’s definitely a win-win for this family! Wondering why we started using BookShark? Check out our list of reasons to use BookShark Secular Homeschool Curriculum. Do you have questions about BookShark? Make sure to follow their Facebook page and feel free to ask questions!